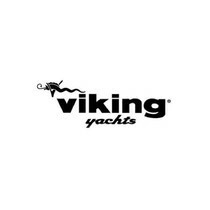 As always, a new Viking starts with a freshly designed hull to take full advantage of the available power so as to perform to our formidable standards. 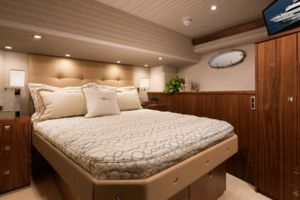 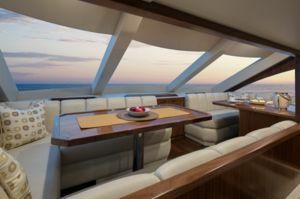 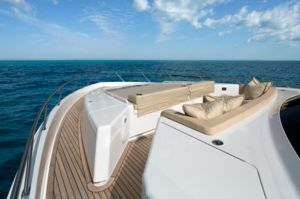 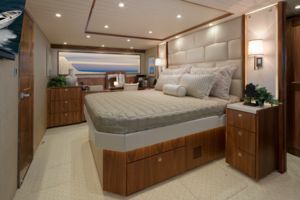 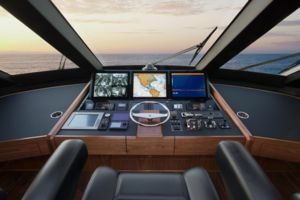 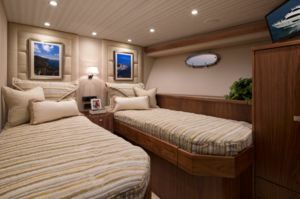 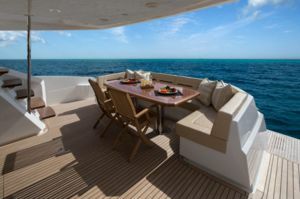 The 75 Motor Yacht has a convertible running surface to not only utilize the available horsepower to its best advantage for speed and efficiency, but also for ease of handling and sea-keeping ability. 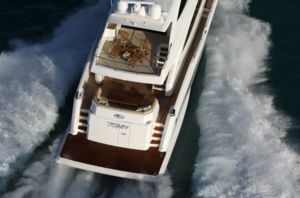 These elements are major differences between our 75 MY and other motor yachts of similar and even longer LOA. 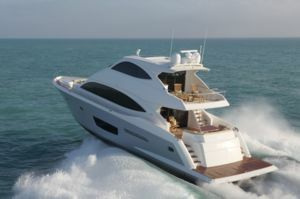 The first boat, delivered with a pair of C32-A Caterpillars developing 1,925 mhp each. 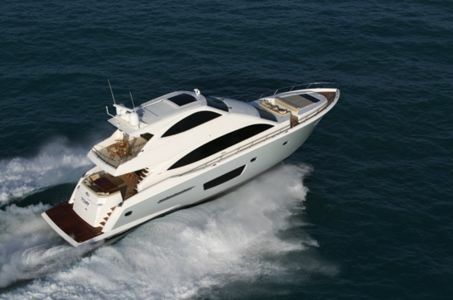 With a 30 knot cruise and a top end in the mid-30 knot range. 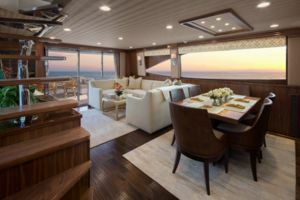 With this kind of speed, longer distances can be comfortably covered in a day’s run opening up new cruising areas and expanding opportunities for traveling in motor yacht fashion.